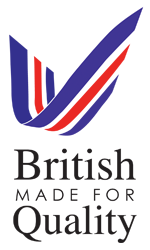 Celebrate the best of British with top quality Samalite portable lighting solutions. As a British company, every single one of our top quality lighting solutions are designed and manufactured in the UK, guaranteeing the highest standards of quality and durability. Because our portable lighting equipment is trusted by some of the largest industries in the country – and indeed the world – we understand how important it is that our lighting equipment works effectively every time. The Emergency Services including paramedics, CSI teams, Police and Fire Crews all rely on our portable lighting solutions to assist them with their essential and potentially life-saving tasks, and so it’s imperative that our portable emergency lighting equipment demonstrates unwavering functionality and durability. Many other websites and companies offer portable emergency lighting equipment which is seemingly similar to our own at much cheaper prices. However, the fundamental difference between these lighting solutions and our own portable lighting is the quality of manufacture. Cheap imports from foreign countries are often cheaply made and offer little reliability and durability – a risk that Emergency Services and other industries such as the rail infrastructure cannot afford to take. All of our LED portable lighting solutions feature high impact polyurethane bodies; a tough material which is incredibly resilient and water, heat and fuel resistant. While cheaper products may claim to be weather-proof and tough, this is often not the case. Is it worth risking lives just to save some money on a portable lighting solution, which will more than likely break within a few months? Our portable lighting equipment uses powerful LED bulbs which can provide up to 29 hours of light, depending on brightness and usage. Featuring shatterproof lenses and high-powered beams, Samalite LED portable lighting solutions are the equipment of choice for many industries and companies and with so many great features – it’s easy to see why. Invest in top quality portable lighting solutions from Samalite. Made in the UK, we guarantee hard-wearing, durable and extremely powerful equipment you can rely on – anytime, anywhere.